Update - The news was fake , That was the back of Nokia Lumia . Google is going to reveal new Nexus 5 2015 in upcoming days . The New Smartphone will be released with Third and Last Android M Preview . New Neuxs 5 2015 will come in two variants . The variant leaked will be having a 5.2 Inch Display and it will come with fingerprint sensor on the back . 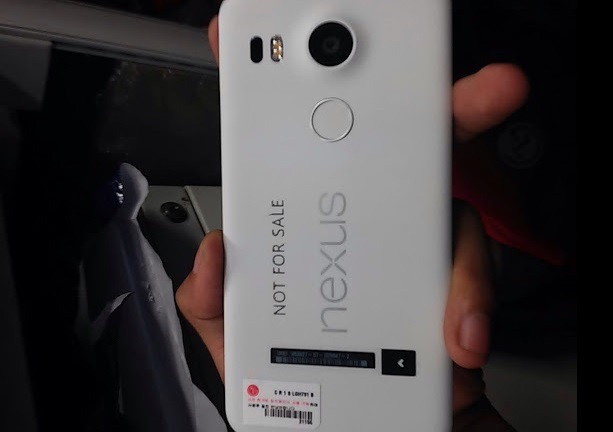 This is the new Leaked Picture on Nexus 5 2015 , It will be having a dual led flash , 13 mp rear camera , a finger print sensor and more . The 5.2 inch variant will be made by LG , while the other 5.7 inch Nexus 6 ( 2015 ) will be made by Huawei .